U.S. 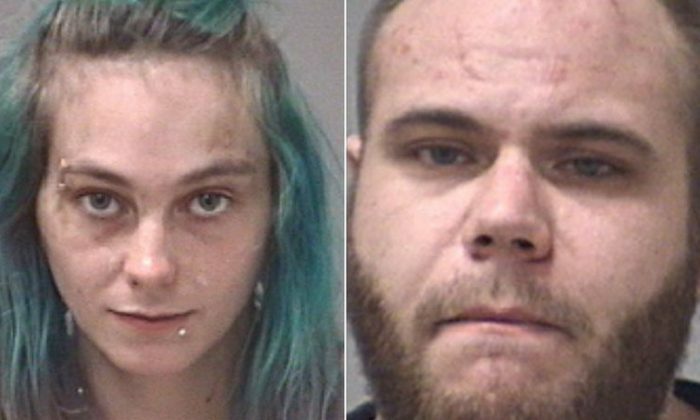 Marshals have arrested a Michigan couple who were sought in the death of a 4-year-old girl, ending a manhunt lasting several days. Brad Fields, 28, and Candice Diaz, 24, were arrested while driving in southern Georgia by U.S. Marshals Service in Macon, Georgia, and the Lowndes County Sheriff’s Department, CBS News reported. Diaz’s child, Gabby Barrett, was found unresponsive Jan. 1 at a residence in a Sumpter Township mobile home community, officials said. They later ruled her death a homicide, saying the girl showed signs that she was abused. When cops arrived, family members were administering CPR to the child. They found “severe burns about her extremities” before she was taken to an Ann Arbor hospital, where she was later pronounced dead. On Tuesday, the Wayne County Prosecutor’s Office said that Diaz and Fields were wanted on charges of murder, second-degree murder, as well as first-degree child abuse and torture. Meanwhile, Fields was charged as a habitual offender, People reported. It’s unclear if the pair have attorneys. No further details were released on their arrest.